Wild Play SuperBet Slot from NextGenGaming arrived in UK online casinos in July 2017. It is a classic online slot fruity but with a special twist that fans of NextGen will be familiar with. During the game, the SuperBet feature allows you to place enhanced bets on each spin to increase your win potential and push up the RTP (Return to Player). 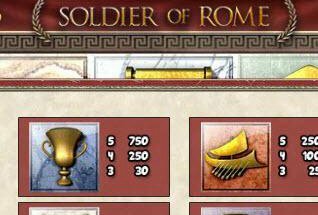 The game’s core features are Wilds and Multipliers, with the added excitement that the more Wilds are in your winline, the bigger the multiplier. On top of which, if you choose to enhance your stake with SuperBet, a further multiplier is applied to your wins of up to 5x your stake. More on that in a minute. 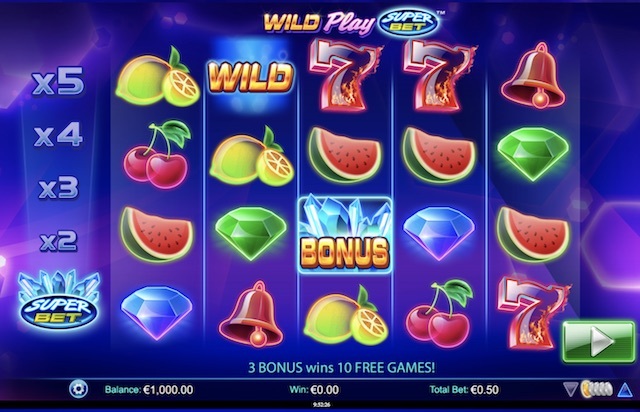 Wild Play slot also feature Free Spins, with up to 20 available and also subject to TWICE the Wild and Multiplier formulae as occurs in the base game. This can give you up to 30x wins. NextGen have created a game with a volatility of medium to high here, so it’s perhaps pitched at the high rollers, though you can still play comfortably with a smaller bankroll if you choose lower stake values. The Wild Play slot RTP is between 95.04% and 95.8% – depending on whether you enhance with SuperBet. 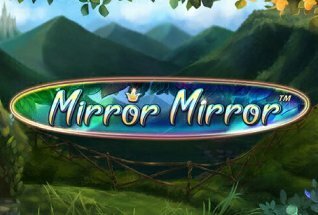 This clever little video slot can be played on your mobile, desktop and tablet and is now available to play for free or play for real at some of the UK’s best online casinos. Why not play today at one of our recommended sites, Casumo Casino. 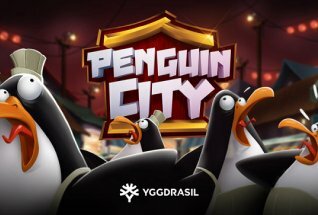 Or, full a full explanation of the gameplay and features in Wild Play Slot, read on for our full review. But first, here’s a quick spoiler from NextGen to get you in the mood. 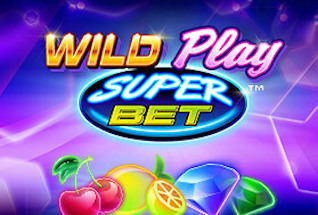 Wild Play SuperBet has a classic retro slot fruity feel to it. The backdrop to the reels is a kind of purple, slightly neon pattern, vaguely spacey and a little like Red Tiger’s recent release, Arcade Bomb, though the gameplay is very different to that slot. Symbols are old skool – cherries, lemons, water melons, bells, diamonds blue and green, and the number 7, flaming on the reels. The 7 is the most valuable symbol and will pay out 6x your stake when five land on a payline. The key symbol is the Wild, which can only appear on the middle three reels. It will substitute for all other symbols except the scatter or bonus symbol, which is the word Bonus. This one triggers the Free Spins round. NextGen fans will be familiar with the layout of this slot. You can adjust your stake from 50p up to £150 per spin, and bet more if you choose to take up the SuperBet feature and increase your Wild multipliers. There is a max bet button to jump straight to the big stakes. The soundtrack to Wild Play is a kind of upbeat housey number. If it’s not to your taste, it can be toggled on or off in the settings. The basic premise of the game is that the more wilds you land in a payline, the higher the multiplier applied to the win. At the base level, each Wild in a line will multiply the prize x1 – so 3 wilds in a line would multiply your win by 3. The fun starts when the SuperBet feature is used to increase the multipliers value and power. So, there are four SuperBet levels to choose from, each increasing the Wild multiplier by 1 more. At the top level, each wild in a win line will multiply the win by 5. This means, landing 3 Wilds in a winline when playing at the top SuperBet level, will bring a 15x multiplier to your win. So, at top level, the winning potentials are huge – just remember that it costs more to move up the SuperBet levels, so only bet with what you are comfortable with. Free Spins – You need to land 3 or more scatters, or Bonus symbols, to activate the 10 Free Spins round. The beauty here is that your multipliers from SuperBet are doubled in this round. So, playing at the top level, your 5x multiplier Wilds become 10x multiplier wilds. Land 3 in a winline and of course, your win is subject to a 30x multiplier! Free Spins can also be re-triggered in the bonus round, with up to 20 available. NextGen Gaming have taken the simple features of multipliers and wilds, and mixing them in with their SuperBet feature, created an intense and thrilling video slot experience. Wild Play has all the hallmarks of a classic like Twin Spin from NetEnt, and will appeal to all slot players. Though the high volatility may put some people off, for high rollers, this game will be a real honey pot!